A new bill in the Colorado House would let towns, cities and counties decide when during the night bars have to close up shop, if they want to close up at all. The bill was introduced by Rep. Steve Lebsock (D-Thornton) with the reasoning that the state should not be telling local governments when to open and close their businesses. Is a blanket 2am last call bad for the state? According to Lebsock, local law enforcement and local governments are much more informed about when the best time would be for their alcohol-serving businesses to close up shop. Placing a blanket closing time of 2am across the entire state means that you put thousands upon thousands of people on the road all at the same time, crippling the ability of state police to fully enforce drunk driving laws. Lebsock has an opponent in Fran Lanzer, the executive director of Colorado’s Mothers Against Drunk Driving chapter. Lanzer has not yet taken a position on the bill, but has said that the concept would actually make the roads less safe. 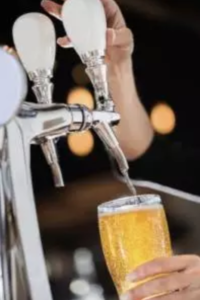 By staggering hours, he argues, bar-hoppers would be encouraged to travel to different counties, towns and cities to keep the midnight oil (or ale) burning instead of going home at 2am. What do you think? Is it better to spread out the amount of people returning home during the early morning hours, allowing law enforcement to cast a wider net for DUIs? Or is keeping a uniform cutoff the best way to do this? Sound off in the comments and let us know your opinion. Denver criminal defense attorneys bringing you the latest in news regarding Colorado state laws and drunk driving.